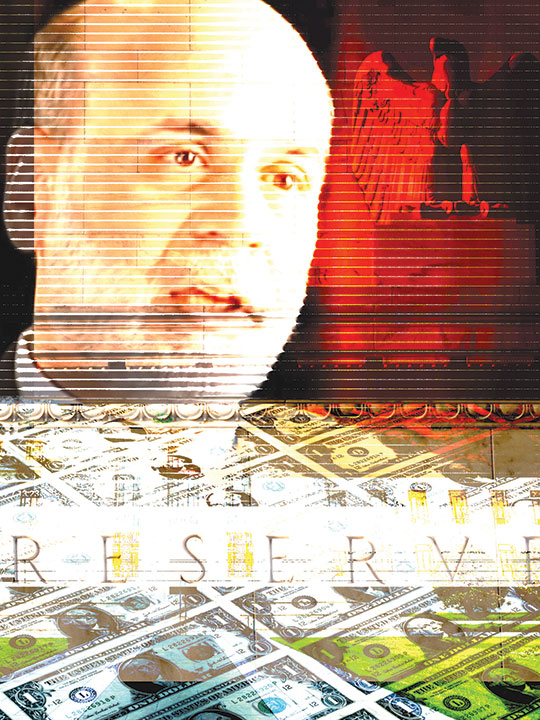 March 15 marked the 10-year anniversary of the Federal Reserve Chairman Ben S. Bernanke’s groundbreaking “60 Minutes” interview. To listen to current Fed Chairman Jerome Powell on the same show a decade later, the central bank’s best laid plans since then would seem to have played out according to script with one glaring exception: the Fed’s balance-sheet. If the primary goal was recovery without inflation, the Fed delivered. Since the onset of recovery in June 2009, the core personal consumption expenditures index, which measures the prices paid by consumers for goods and services net of food and energy prices that tend to be more volatile, has been above 2 per cent in just five months in 2018, four in 2012 and one in 2011. Critics of the central bank suggest that the massive surge in financial assets over the past decade starkly illustrates the need for the Fed to incorporate inflation gauges that take into account price gains of real estate and securities. One such gauge, the Underlying Inflation Gauge (UIG) created at the Federal Reserve Bank of New York, has hovered around the 3 per cent level since last February. In other words, the UIG has been running north of the Fed’s 2 per cent inflation target since November 2016. The justification for raising interest rates thus depends on the gauge used to guide policy. As for Bernanke’s commitment to unwind unconventional monetary policy, it’s looking increasingly as if only a small portion of his promise can be fulfilled. Since last meeting in January, Fed officials have been publicly unified in their intention to present a roadmap to end quantitative tightening (QT) at the Federal Open Market Committee meeting. Running monetary policy looser than need be for such a protracted period has benefited global asset prices. Even after the Fed began tapering its bond purchases, its central banking peers more than took up the slack. As of February, the collective balance-sheet assets of the Fed, European Central Bank, Bank of Japan and Bank of England stood at 36.3 per cent of their countries’ total GDP, little changed over the past two years. But at the National Association for Business Economics recent annual conference, University of California-Berkeley economics professor Gabriel Zucman presented his findings on the widening divide between the haves and have-nots in the US. Zucman also noted that increased wealth concentration has become a global phenomenon, albeit one that is trickier to monitor given the globalisation and increased opacity of the financial system. That is not to say the most powerful players in finance haven’t had to adapt to a post-crisis world. The inability to undertake risky lending under tightened regulation has pushed business to an increasing degree out of the conventional banking system into the shadow banking industry. Private equity presides over more than $2.1 trillion in committed capital to be deployed outside the purview of regulators’ watchful eyes, according to research firm Preqin. Except that the Fed does have direct responsibility. If the “wealth effect” used to justify a generation of quantitative easing hasn’t kicked in yet, trickling down to those who need it most, it’s past time the Fed acknowledged its failings and opened the door to a new policy framework.